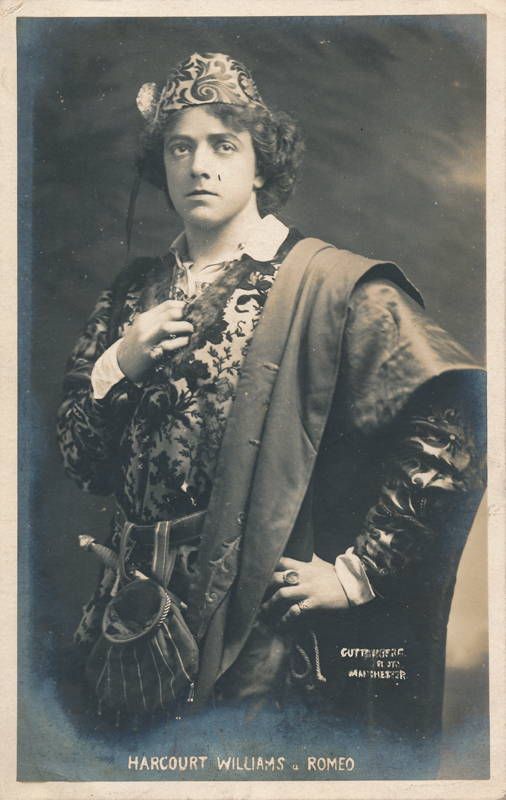 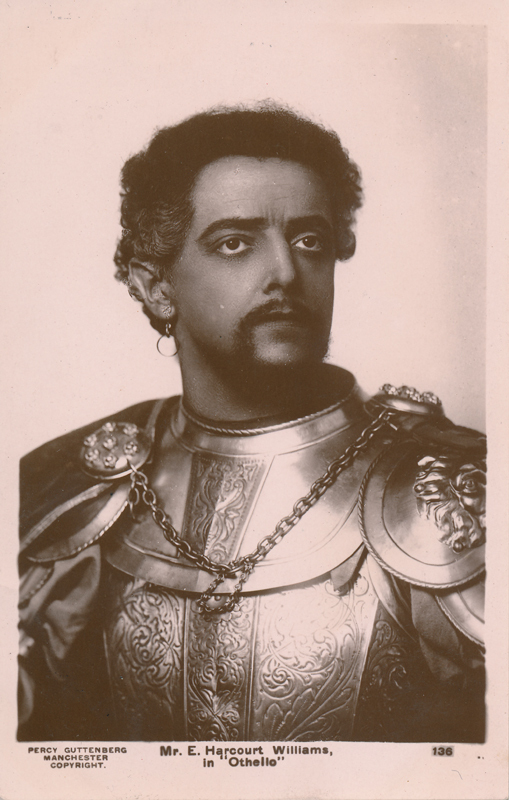 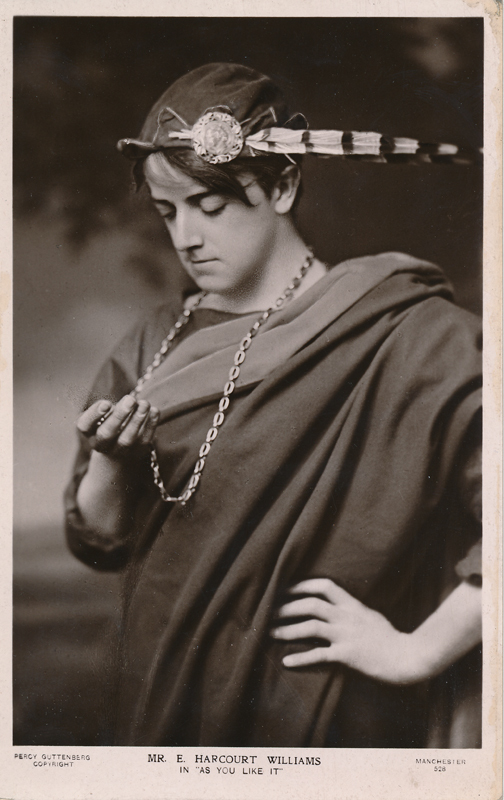 Ernest George Harcourt Williams began his career, like so many other Shakespearean actors, with Sir Frank Benson and first appeared in London in 1900 with Benson’s company. 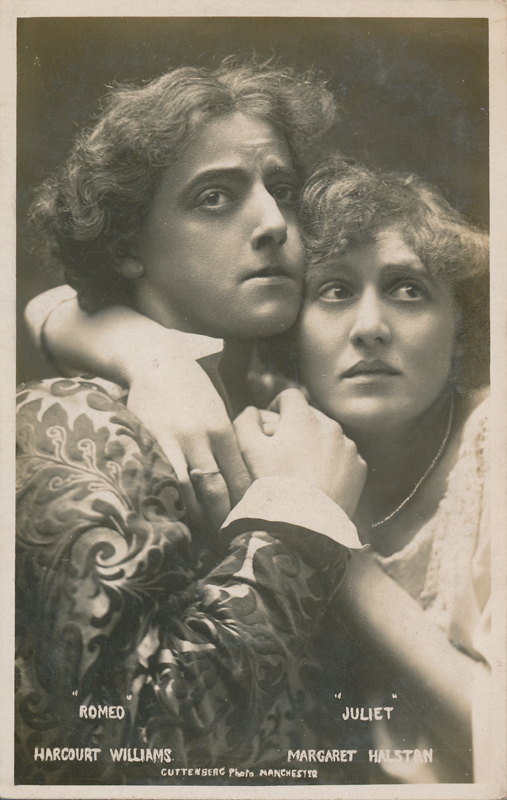 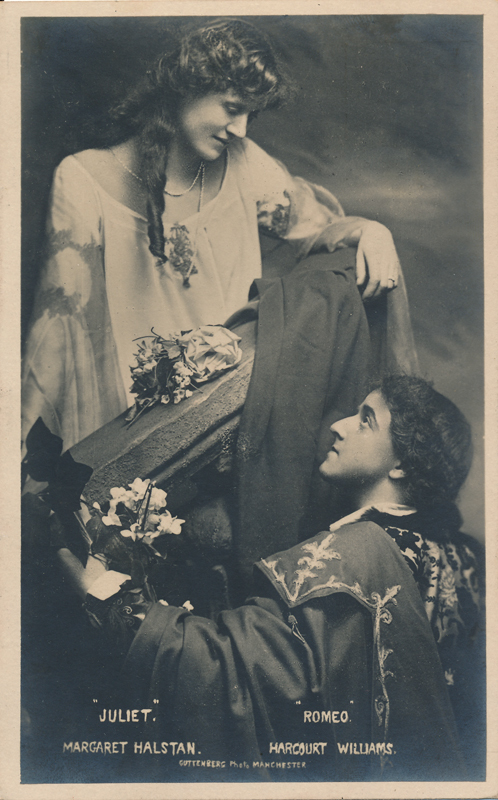 He married another player, Jean Sterling Mackinlay in 1908, and although his professional life was interrupted by World War I, he was associated with a number of fine actors and successful managers, among them George Alexander, H. B. Irving, Dame Ellen Terry, and, of course, Frank Benson. 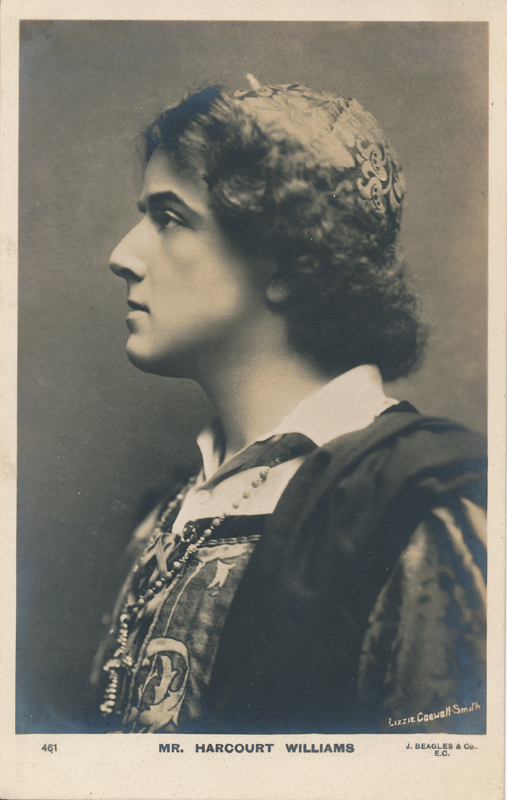 From 1929 until 1934 he was a producer at the Old Vic Theatre, where his Shakespeare presentations eventually won him high praise as he moved away from the Victorian and Edwardian concepts of Shakespeare’s plays towards more modern and controversial stagings. 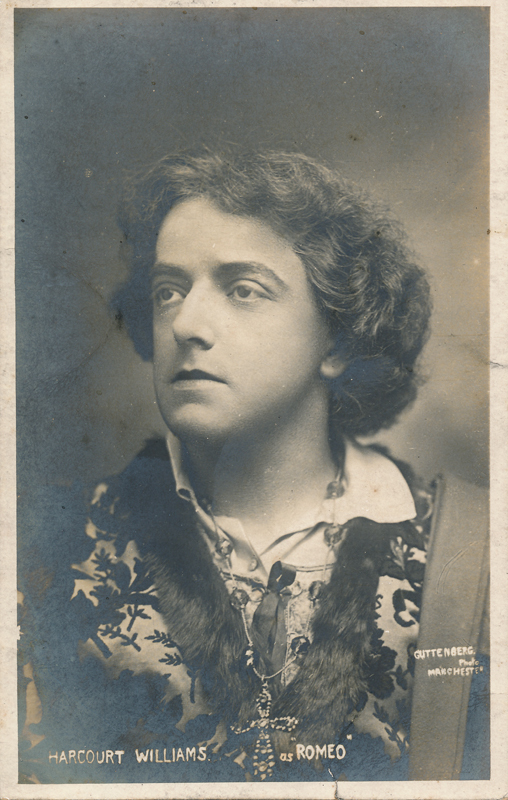 In 1935 he published Four Years at the Old Vic, a volume of his memoirs. 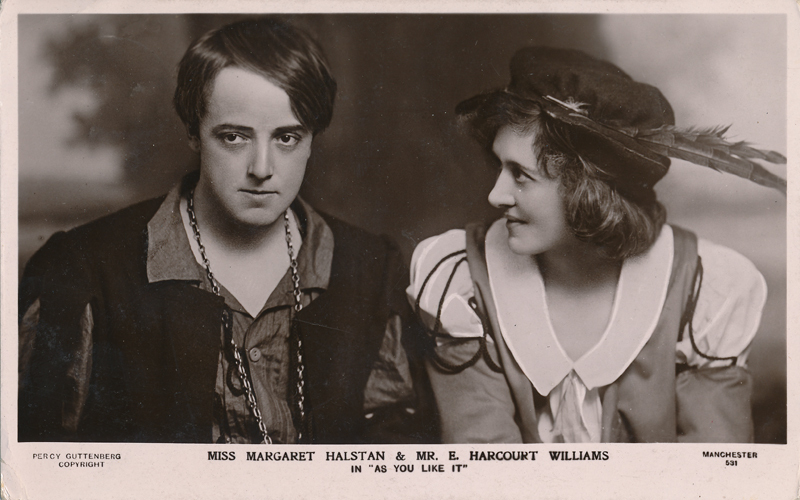 Williams also played in a number of films, all told twenty between 1944 and 1956. 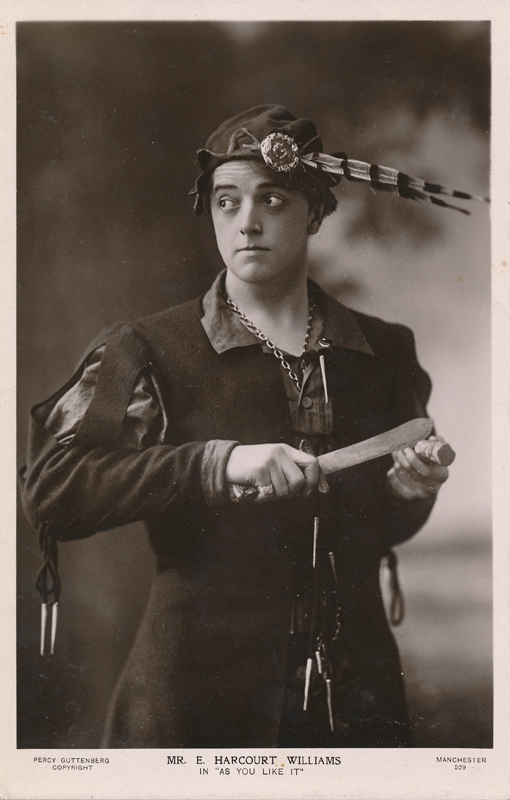 Of particular interest to us are two Shakespeare films; he played King Charles VI of France in Laurence Olivier’s 1944 production of Henry V and the First Player in Olivier’s 1948 Hamlet.